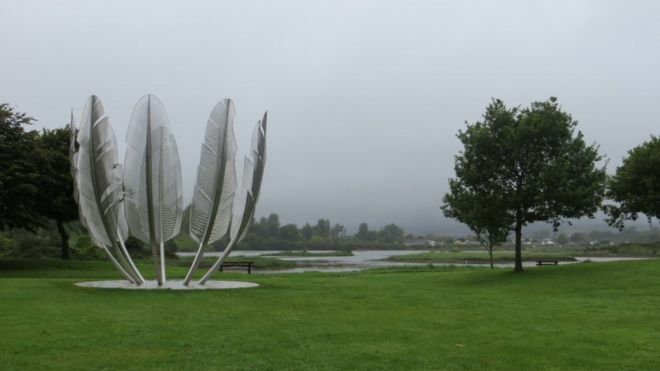 Native American Choctaw leaders have arrived in Ireland to unveil a sculpture celebrating the financial contribution made by the tribe to starving Irish people in 1847. At the height of Ireland's Great Famine, Choctaws in southern states of the USA sent a donation of $170 (£111). An extraordinary whip-round, that would be tens of thousands of dollars today. The sculpture Kindred Spirits stands in a park in the small town of Midleton, in east Cork. It's interesting. I wonder what could be the motivation of the Choctaw to help the Irish.